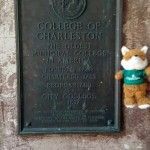 I have enjoyed meeting so many of the new freshmen this summer as they have been going through College of Charleston orientation. I’m sure I’ll see them again during Move-In Weekend in August, since our hotel is the place that so many parents, family and friends stay when visiting their student at the College. Go Cougars!!! One of my favorite places to visit on a sunny day like today is the College’s Cistern Yard (located one block from the hotel). 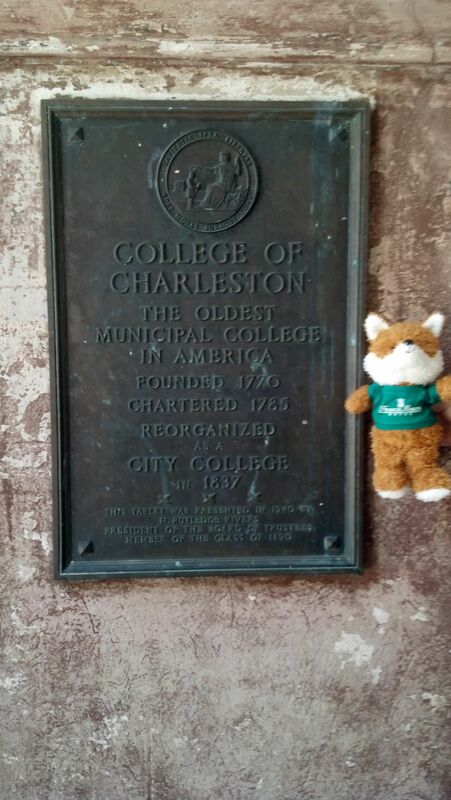 C of C is the oldest municipal college in the country (founded in 1770 and charted in 1785) and has several buildings that are designated National Historic Landmarks. 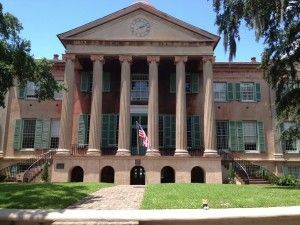 The old, majestic evergreen oaks in the Cistern Yard are surrounded by three of these historic buildings – the main building (built in 1829 and now known as Randolph Hall), the Gate Lodge (built in 1852), and the College Library (built in 1856). The Cistern was constructed in 1857 to help control flooding due to heavy rains and to provide water for fighting fires. Later, it was filled and planted with grass. 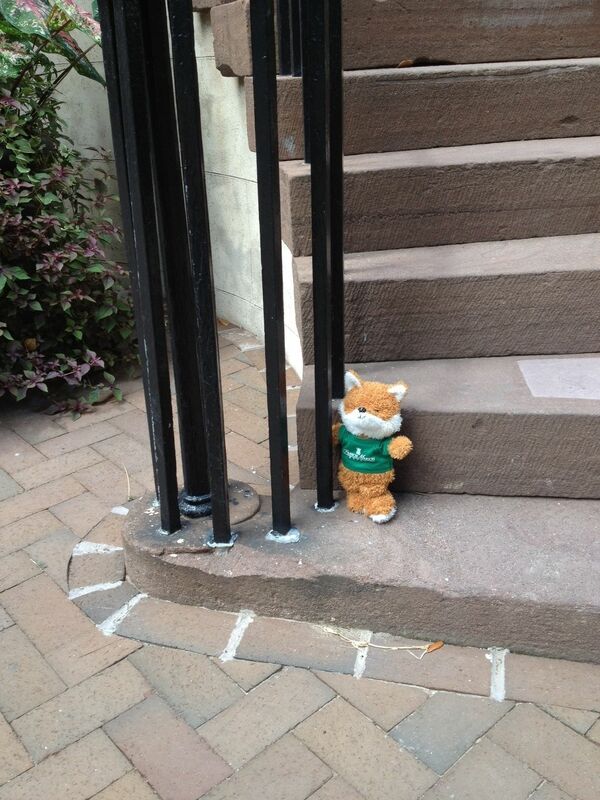 Today, it is a favorite studying spot for students and the site of commencement in the spring. 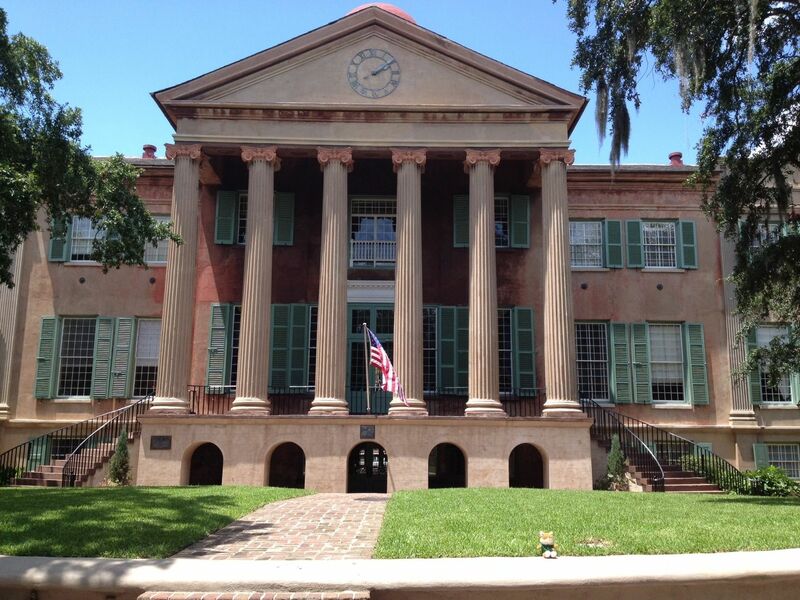 Here is a live webcam http://webcams.cofc.edu/webcam3/index.php.